Filmed in early summer, 2012. 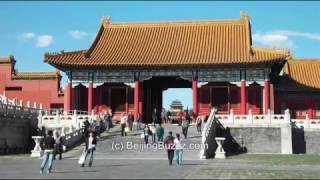 The Forbidden City，at the center of the ancient city of Beijing, was home to 24 emperors during the Ming and Qing dynasties. 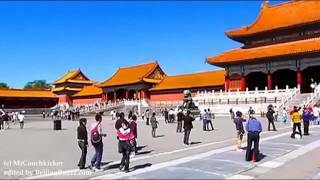 Today, the Forbidden City is a public museum and World Heritage site, attracting millions of tourists from around the world. 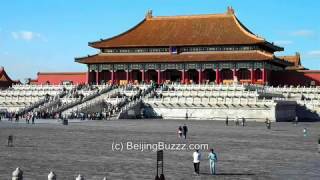 In the early 1400s, the third Ming Emperor, YongLe, moved the capital of China to Beijing. 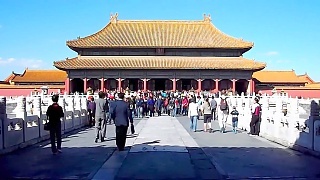 In 1406, he began construction of a new 'Forbidden City' that would include the imperial palace complex. It took 14 years to complete - and an estimated one million workers, and 100,000 artisans, were involved in some way. 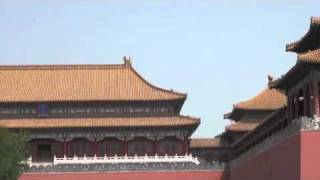 Now officially renamed as the 'Palace Museum' ('GuGong' in Chinese, meaning simply 'Old Palace'), the extensive grounds of the Forbidden City cover 720,000 square meters (74 Hectares). There are 800 buildings that have in total about 9,000 rooms. 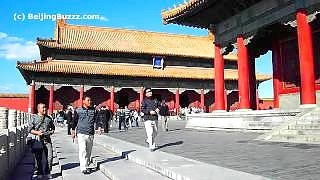 Indeed, the Forbidden City is listed by UNESCO as the largest collection of preserved ancient wooden structures in the world, and was declared a World Heritage Site in 1987. 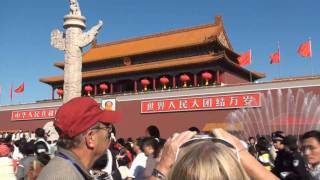 The Forbidden City is located directly to the north of Tian'AnMen Square and is accessible from the square via Tian'AnMen Gate. 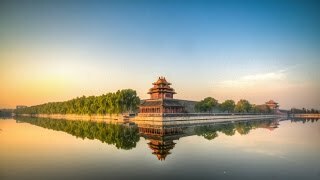 The Palace Museum is now a fantastic place to wander and dream of times gone by. White marble, walls of terra-cotta, roofs of glazed golden tiles, and woodwork finished with vermillion paint, lacquer and gilding unite to create an effect of outstanding beauty. Nearest subway stations: Tian'AnMen Xi or Tian'AnMen Dong (line 1). 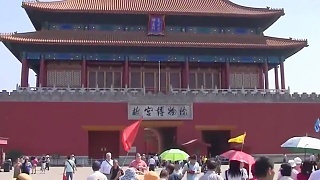 TianAnMen, Meridian Gate (WuMen) and the Palace Moat. 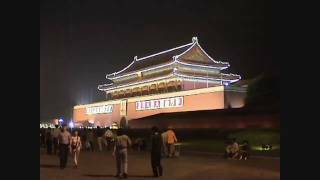 Filmed during the National Day holiday week, October 2009.